Let us be very clear. We do not sell, trade or rent users/members personal identification information to others. We respect the intellectual property of all photographers and we ask our readers to do the same. All material in our website and magazine is protected by copyright and no one is allowed to copy or reproduce anything without consent. You license us to use the material you provide on our website, Magazine, social media platforms (for promotional reasons) and for more than once. However, your images will always be under your copyright (you can publish them wherever else you wish) and you will always be credited when we publish them. We will never share your contributions with any third party. We pay no compensation for submitted images, only for special features and articles. However, we do our best to make sure that photographers who submit images via our submission forms are fully promoted through the magazine and our social media pages. You license us to use the material you provide on our website, Magazine, social media for promotion and for more than once. However, your images will always be under your copyright (you can publish them wherever else you wish) and you will always be credited when we publish them. We will never share your contributions with any third party. 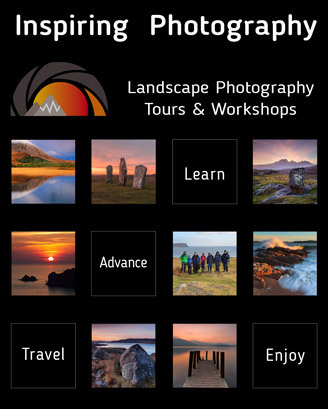 All articles submitted to Landscape Photography Magazine are exclusive. Articles that have been published elsewhere already or will be published elsewhere in the next six months following their publication in LPM cannot be accepted. Also, we cannot accept copy/paste or parts of articles from other sources. Once your article has been accepted, it cannot be reproduced or used in any form of media including eBooks, books, magazines, websites (including your own website) and so on for six months after its first publication in LPM. You can write an article about the same subject and publish it in LPM and elsewhere but it needs to be written in a different way and not identical. Six months later you can add the article to your website but not as it has been designed and published in LPM as our article design is fully copyrighted and cannot be reproduced without our consent. This excludes the publication of your images, you publish them wherever and whenever you wish. We supply you with special material to promote your article through your website and social media network. Payments are made immediately upon content receipt for articles which will be published within 3 months from their acceptance date. Articles published longer than 3 months from their acceptance date will be paid upon their publication date. If you win one of our membership prizes but you already have a premium membership with us, you do not qualify for the membership prize. Only people who do not have a premium membership with us qualify for membership prizes. Landscape Photography Magazine products are digital and can be downloaded immediately after a membership subscription or a single purchase, we therefore have a strict no refund policy.